MUMBAI: A lot has been spoken about the importance of having “brand essence” and then channelizing the same into everything a company does to strengthen the brand equity. This principle has been driving companies to take the ‘brand experience’ beyond the core product. Music which is known to strike an emotional chord with the listeners is being used as one of the important media to build the brand experience, and, this trend is now catching up in India as well. Songdew, a leading network of Indie music artists and bands is working with brands to help shape their sonic branding strategy. A case in point is the unique activity done by Pratha, a leading brand of Agarbatti by Future Group in India. As a brand, Pratha identifies itself with ‘soulful experience’ which is different from traditional ways of identifying with religious pooja. To build this identity and take the experience of brand beyond agarbatti, Songdew worked with the organisation to first create mood board of its sonic identity and then ran a campaign on its platform inviting musicians to create music in line with the brief. 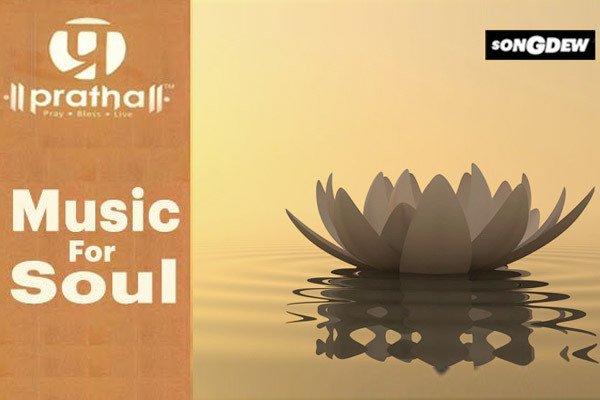 After careful curation of music, a digital album of the compilation Pratha - Music for Soul is launched on all digital platforms including Itunes, Songdew, Spotify. Pratha is also providing a free download of the album to its customers to give them an experience beyond their core product. Another brilliant example of how brands are using music to enhance customer experience is the outstanding work done by Fabindia. Fabindia is a leading brand retailing various products where the core is ‘Indian’. Songdew worked with Fabindia to help them establish a stronger connect with the youth of the country through music. Specific mood board was created to establish brand’s sonic identity and then musicians were invited to submit the tracks identifying with the mood board. The curated playlists of such tracks are now playing in all the retail stores of Fabindia across the country. “We have a proprietary mechanism through which we first establish the sonic identity of the brand and then use the talent of not one or two composers but a large number of outstanding musicians on the platform to create music /track which is aligned with the brand identity. The end result is a cohesive experience that a customer gets while interfacing with the brand at different point of time and at different spaces,” mentioned Sandip Tarkas. In a highly competitive market where brands are fighting a tough battle to create their identity, it looks like that music is going to be one of the key elements to enhance brand experience in times to come. MUMBAI: Dutch DJ and producer Bakermat has released his new single, Learn To Lose. MUMBAI: Globally renowned DJ and producer Carnage has delivered the official music video for his latest hit single Letting People Go. MUMBAI: Estonian DJ Producer Syn Cole reveals his latest single, Lights Go Down featuring the soft vocals of upcoming London based talent, Dakota. MUMBAI: Indie pop band Islandeer releases their second single, The Bad Taste, which explores coming-of-age romance with the usual suspects – temporal, bittersweet emotions.